Between the road and rail bridges at Blackfriars is the somewhat surprising sight of rows of red columns stretching across the river. These are all that is left of the first railway bridge to be built here by the London, Chatham & Dover Railway. The LC&DR wanted to build an extension from its terminus near Beckenham across the Thames to link up with the Metropolitan Railway at Farringdon. In doing so, they would be the first company to serve the City from south of the rver. 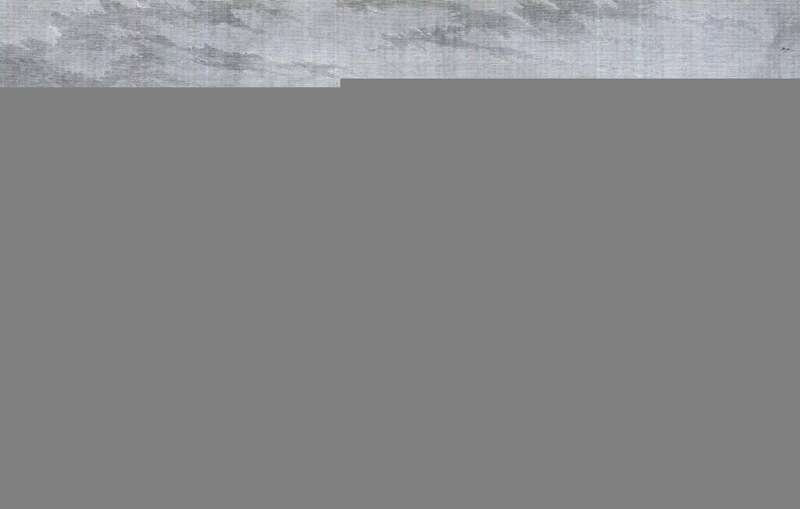 They received authorisation from Parliament in 1860 and Joseph Cubitt was appointed to build the bridge. 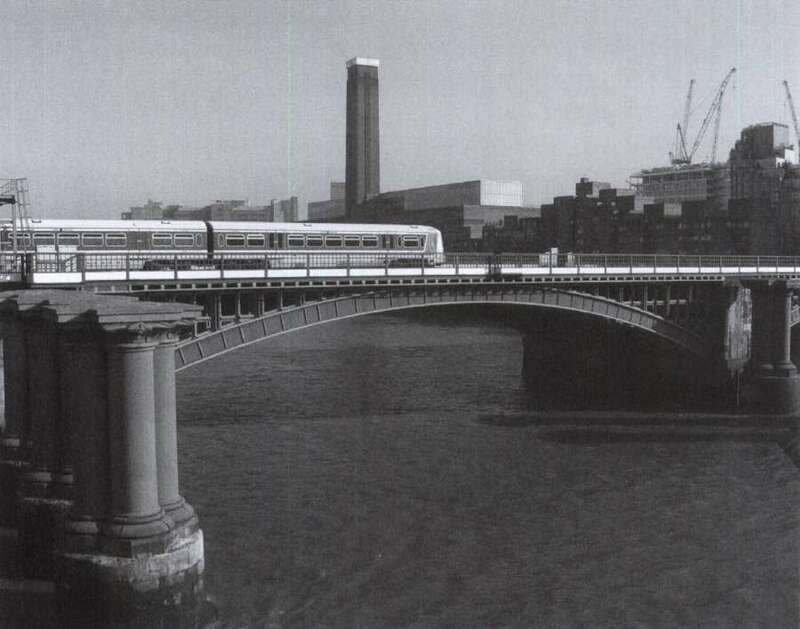 As the new bridge was to be very close to the Blackfriars road bridge, which was due to be rebuilt, there was a delay in agreeing the designs, and these delays were very costly to the railway company. In the end Cubitt was commissioned to built both bridges. Engraving from the Illustrated London News of the first Blackfriars Railway Bridge and the station on the south bank. Work began in 1862. The bridge was to carry four lines of track and it had five spans of wrought-iron lattice girders. For each of the piers, three cast-iron cylinders were sunk into the river, faced with stone, filled with concrete, and finally covered in granite. On each one were placed four-shafted iron columns with ornate capitals, which were to support the superstructure. The abutments were built of brick and faced with Portland stone from old Westminster Bridge, which had been demolished in 1861. On the abutments the railway company's coat of arms was displayed on ornate cast-iron pylons, painted in bright colours to make a strong impression. Those at the south end can still be seen and are an impressive sight. The bridge took less than two years to build, at a cost of 220 000 pounds, and was opened on 21 December 1864. A new station had been build at the south bank of the river, as well as another in Ludgate Hill. The line was connected up to the Metropolitan Railway in 1866, and the extension was later used by other railway companies. There was much criticism of the utilitarian design of most of the railway bridges over the Thames in London, but this one was considered to be well designed, especially when the columns were painted brown and the capitals gilded. The complaints were mostly because of the close proximity of the two bridges, which did not allow the much-admired new road bridge to be fully appreciated from all angles. The two Blackfriars railway bridges. While the second one is still in use, all that remains of the first one are the piers. By the 1880s the traffic had increased so much that the bridge could not cope, and plans were made towiden Cubitt's bridge. This was not found to be a viable proposition, so a second railway bridge was built alongside the first one on the downstream side, carrying seven extra tracks. The bridge, known as the St Paul's Railway Bridge, was designed by Sir John Wolfe-Barry and Henry Marc Brunel (Isambard Kingdom Brunel's second son), and the foundation stone was laid in January 1884. The bridge has five wrought-iron arches and, because of the many criticisms of the earlier bridge, is rather more decorated, including masonry “pulpits” above the piers. It originally had a Gothic-style cast-iron parapet, but this has now been replaced with a more functional one. The bridge was opened on 10 May 1886 and served the new St Paul's station on the north side of the river. In 1923 the railways were reorganised, and the new Southern Railway decided to concentrate its continental services at Waterloo and Victoria, so that from then on St Paul's station offered only local and suburban services. The station was renamed Blackfriars in 1937. In the 1950s there was a proposal to demolish both the station and the railway bridge, but instead the service to Holborn Viaduct was closed. In 1971 al services had to use the newer bridge and the superstructure of the old bridge was removed in 1985, leaving just the piers. The Snow Hill tunnel, which had been opened in 1866 to carry the LC&DR's trains to Farringdon, had closed to passenger traffic in 1916, though it continued to carry goods trains until the late 1960s. In 1986, however, the track was relaid, and the line was reopened to allow a new north-south service to operate, carrying passengers through London from Brighton to Luton and Bedford, serving both Gatwick and Luton Airports. The service opened in 1990 and has proved such a success that the lines between Blackfriars and London Bridge are now a serious bottleneck. To relieve the congestion, there are plans to upgrade the line, which will involve building a new Blackfriars station, with platforms right across the river on the railway bridge, allowing access from both sides of the river. 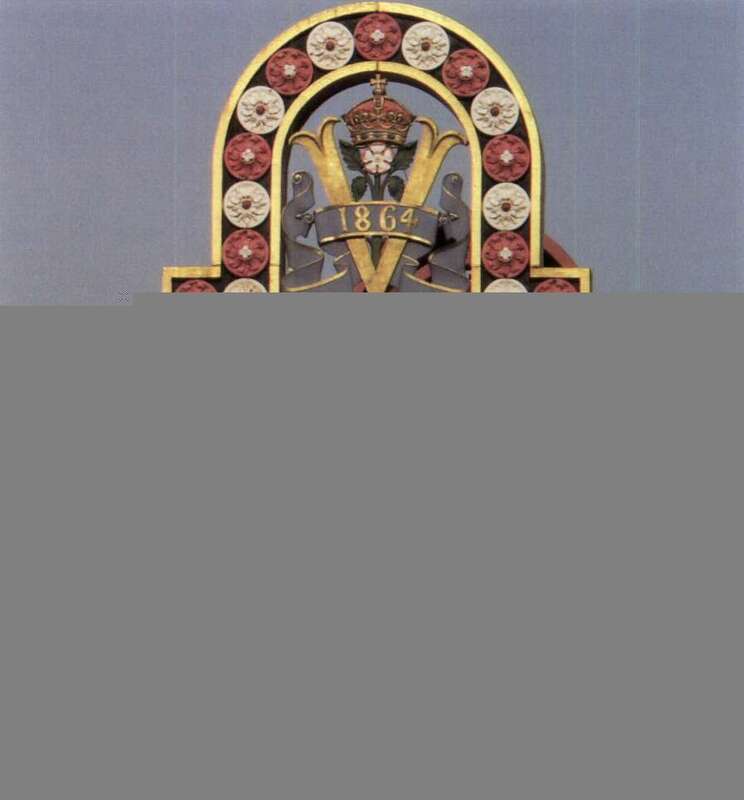 The colourful coat of arms of the London, Chatham and Dover Railway still stands on the souyh side of the old Blakfriars Railway Bridge.